Well, 2013 has been an interesting year, to say the least. I’ve gone through huge life changes, only some of which I’ve shared here. Life today is pretty good. I’m writing this in a fairy-lit sitting room, while my children sleep peacefully next door. I know that I’ve got some wonderful relationships and lots to look forward to. But I’m tired too. In need of a little break to re-charge my batteries a bit. And so, I’m taking the advice of Luci at ‘Mother. Wife. Me‘ and having a blogging break until the New Year. A year that I have many plans for. Cycling, yoga, gardening, micro-adventures, maybe a bit of luxury, some volunteering and a lot of learning. I’m hoping to spend some time rebuilding old friendships and creating new ones. I’d like to see a bit of the world I’ve never been to before. I shall play games with my children and go on dates with my boyfriend. It will be a good year. I feel it in my bones. I’m hoping that this blog will grow too. I have lots to improve and I’m going to state my intentions here and now to join the Big Blogging Bootcamp hosted by Elizabeth at Rosalilium. I know that it will be the kickstart that I’ve been looking for and I’m very much looking forward to it. 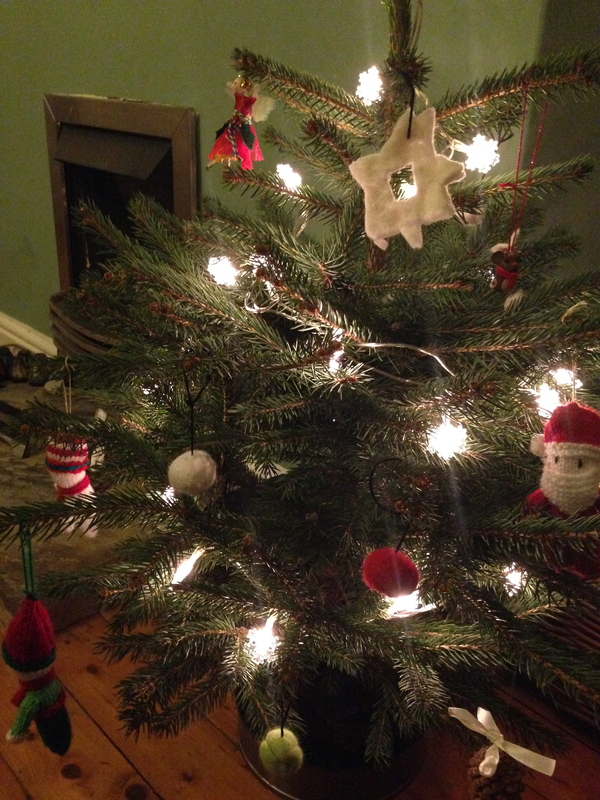 So, for now I wish those of you who are celebrating, a very Happy Christmas, and a wonderful 2014 to you all! I’ll catch you in a couple of weeks. 5 Responses to Happy Christmas! Best wishes for a good Christmas and a great 2014. Sorry, forgot to say.. thank you for the mention! You’re welcome – I love your blog! Wishing you a wonderful 2014 – it sounds like there is lots to look forward to. Merry Christmas!